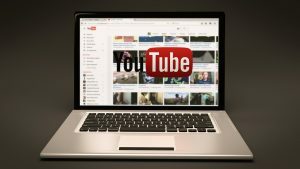 With more daily views than all but a few websites worldwide, YouTube is a very popular platform. It should surprise nobody that content creators from all walks of life have turned to the platform as one way to get the message out about their brands, ideas and products. Anybody can create a YouTube channel and begin uploading videos, but the ease of use ends there. In order to build a successful YouTube channel, a plethora of obstacles must be overcome. With so much competition on YouTube, finding ways to gain traction and outpace competitors is difficult. Today, we’ll examine some of the common challenges content creators face when building a presence on YouTube. While it’s true that you may not need any equipment or software to upload amateur videos to YouTube, developing a popular and successful channel almost always requires investment. To avoid pinging noise in essence at viewers, a certain minimum in terms of production value is needed. This can mean professional cameras and recording devices, premium video software, proper lighting and backdrops, and graphic design services (to name a few ingredients). In some cases, thousands of dollars in expenditures are required just to develop the necessary prerequisites for professional production. While it’s not necessarily required to have all these things when first beginning, they generally do become required elements at some point or another when building a successful channel. If you’ve ever seen a YouTube video with a title that reads more like a machine wrote it than a human being, then you’re not alone. Many of the most successful YouTube commentators and channels have one thing in common: they know how to target audiences and search engines. SEO is often thought of when targeting search engines like Google specifically, but much of YouTube’s traffic comes through Google. Considering that Google also owns YouTube, the parameters for finding videos via YouTube search isn’t much different. Knowing how to optimize each video’s title, description and tags is crucial to long-term success. In many ways, you must optimize content for machines rather than people in this regard. One of the most common ways for new YouTube channels to find success is by tapping into an underdeveloped niche on the platform. When going up against big names, it can feel like you’re pinging noise into the great beyond; it’s hard to get recognized when so many others are already doing what you’re doing and have loyal followings. Many have found success by finding either a new way in which to pitch a particular idea, or pitching new ideas altogether. The latter can be difficult for many brands and bloggers, so it often ends up being how a channel can present a familiar concept in a totally different way. Whether it be competition, startup costs or technical knowledge, there are many obstacles to creating a successful YouTube presence. These three areas are probably the most difficult obstacles overall, but overcoming each of them is doable in time. With a bit of saving, learning and brainstorming, even the most novice of users can overcome these limitations and manifest their dreams of success on YouTube.